You might have heard of it - boiled rice with the faint delicious aroma of Pandan. And for many, when rice smells good, eating is a pleasure. How hard can it get? Prepare the cooking pot beforehand with the rice and water. 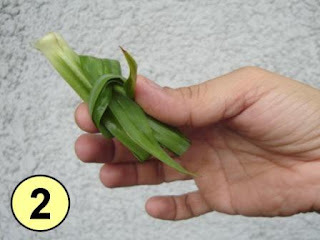 Then get a couple of fresh pandan leaves as shown. Just pick the biggest leaves available. Tie the leaves in a simple knot. Yup, any knot will do. Drop the knotted ball into your rice pot. Close the pot and cook the rice as you would normally. 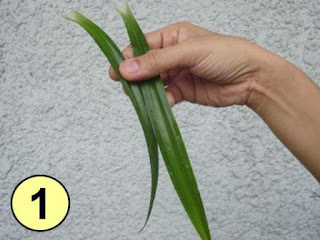 After cooking, it’s perfectly normal to to see a greenish tinge on the rice when the pandan leaves are removed. Enjoy the pandan flavored rice!